New products have been added to our optional parts line up! These tiny bearings replace the bushings and provide an even smoother action to the transmission. The bearings installed on the universal. Finally no more tape! Tape is the preferred choice by most pro racers as it holds the battery securely without affecting the tweak of the chassis. To achieve the same result without the use of tape, AWESOMATIX designed an all new clamp system. 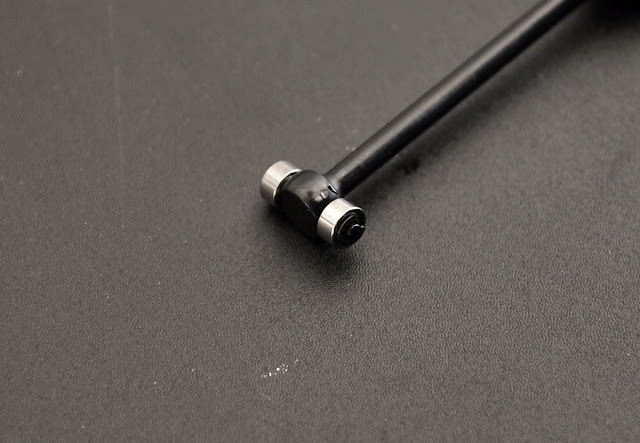 The main difference compared to other systems is that there is no top part connecting the two posts, thus affecting the flex behavior of the chassis. In addition to that the design allows for very quick and safe changes to the battery packs. These Delrin Universal rings simply slide over the front universal cages, ensuring that in a heavy crash the universal cage (ST17) does not spread open. 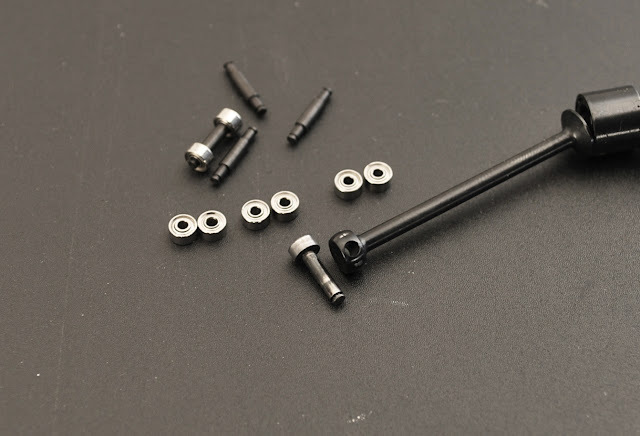 Due to numerous questions, we report that a LA1 Long Upper Arm Set, ST11 Bushings R and ST12 Bushings S are included in the standard kit package already as a bonus for our customers.